Non prime members can get this price also but using code HP7LA9DN at checkout, stated on bottom of page, or clicking the promo under price on page. Good earphones, have a pair myself and had no issue whatsover, hold charge and used them for gym various times. How do you “break in” headphones? I think it just means the two earbuds will stick together so they won't fly about when not in your ears and walking . Most of these headsets (I have gone through a few) are OK for the price but really not very good. It's like a conveyor belt of average earphones. Be good if the sound got better rather than the earphones just getting cheaper. Most of these headsets (I have gone through a few) are OK for the price …Most of these headsets (I have gone through a few) are OK for the price but really not very good. It's like a conveyor belt of average earphones. Be good if the sound got better rather than the earphones just getting cheaper. That depends on how much you wanna spend you get what you pay for i'm afraid. This is my problem with Bluetooth earphones, I can get a great pair for wired earphones for £20, to get equivalent Bluetooth it would be £50+. 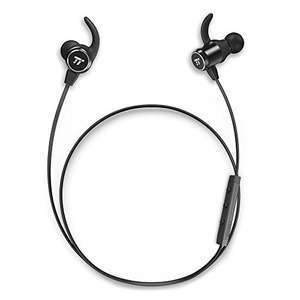 This is my problem with Bluetooth earphones, I can get a great pair for …This is my problem with Bluetooth earphones, I can get a great pair for wired earphones for £20, to get equivalent Bluetooth it would be £50+. Wired has been around for ever while bluetooth is just catching up, you can't really compare both. Wired has been around for ever while bluetooth is just catching up, you …Wired has been around for ever while bluetooth is just catching up, you can't really compare both. The jack is only disappearing on apple products, it's not universal. Not true, flagship Huawei, Xiaomi, OnePlus (6T), Nokia and others all have ditched it. So far it's just Samsung and LG that I can think of that still have it. My P20 pro definitely doesn't have one, my biggest dislike of the phone. Genuinely had no idea this was a thing. Is it for all headphones/earphones, or is it limited to only serving a purpose on high end stuff? Genuinely had no idea this was a thing. Is it for all …Genuinely had no idea this was a thing. Is it for all headphones/earphones, or is it limited to only serving a purpose on high end stuff? Me neither so you're not on your own. Not true, flagship Huawei, Xiaomi, OnePlus (6T), Nokia and others all have …Not true, flagship Huawei, Xiaomi, OnePlus (6T), Nokia and others all have ditched it. So far it's just Samsung and LG that I can think of that still have it. My P20 pro definitely doesn't have one, my biggest dislike of the phone. And how many people you knw are happy about it? Not alot i bet, that's the reason why it's not so popular. Personally I think it's an individual just getting used to the sound. Kind of like if there is a constant quiet hum in the background, your brain learns to block it out and you can hear other sounds normally despite the humming. Anker slimbuds are great (£16) and are on par with the sound quality ~£50 + buds I have had in recent years. That depends on how much you wanna spend you get what you …That depends on how much you wanna spend you get what you pay for i'm afraid. Anker slimbuds are great (£16) and are on par with the sound quality ~£50 + …Anker slimbuds are great (£16) and are on par with the sound quality ~£50 + buds I have had in recent years. Yeah I have the soundbuds slim+ and although I'm no audiophile I do enjoy nice earphones. They're pretty good, especially when you consider the price and that they're Bluetooth. They're similar quality to my soundmagics. Yeah I have the soundbuds slim+ and although I'm no audiophile I do enjoy …Yeah I have the soundbuds slim+ and although I'm no audiophile I do enjoy nice earphones. They're pretty good, especially when you consider the price and that they're Bluetooth. They're similar quality to my soundmagics. Yea I have the + also. I was proven totally wrong when I got them as I was expecting terrible audio but they are awesome for the price and included warranty. Jaybirds are the best Bluetooth in ears I have ever owned. After going through loads of cheap rubbish I just paid extra for great sound quality. Does your tv have Bluetooth? 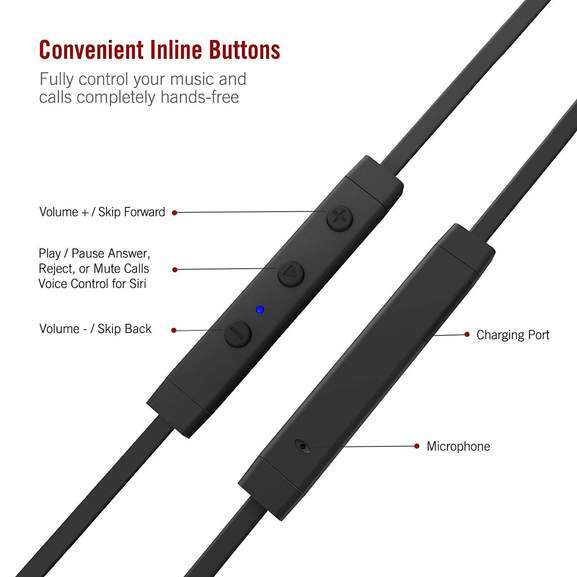 I have bought several pairs of Bluetooth headphones, they would be a lot more convenient as I do a lot of exercise, but they always seem to drop out, not connect properly, and be generally a lot more hassle than a wire. Yet my JBL bluetooth speaker which was only £20 works flawlessly. Maybe eventually they will stop being so flaky. 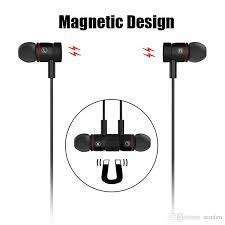 I thought that that was pretty much the whole point of the whole 'magnetic' speaker's/'magnetic' microphone 'concept'? Unless that technology has since 'evolved'?. So instead of iron ore making those magnet's, we're now using plastic, silicon, rubber, or latex instead, or something?, lol. They've coined their word's like they're introducing us in the World to an otherwise revolutionary 'concept' that no one else has yet heard of, or something?. Or they're saying it like they have exclusive 'rights' to it, etc, on account of the fact that they're the one's that invented it alllllll in the first place? (from wayyyyyy back when?). Sod knows?, but it makes one wonder on the marketing concept/strategy here?. errrrrrrrrrrrrr.......... !!! I think it just has the headphone output but my headphones are bluetooth, so maybe not? Just ordered and it worked. Any recommendations on whether to go for this OR Anker Slim+ OR Creative Outlier? Any recommendations on whether to go for this OR Anker Slim+ OR Creative …Any recommendations on whether to go for this OR Anker Slim+ OR Creative Soundlier? i bought a slim+ few days ago and these. after using them both i feel that TT are louder with more heavy bass while slim+ are clearer with nicer pouch. if you are only going to use them occasionally then go for TT however if you are to use them as your main headphones everyday than better go for aptx and 10 hour battery life headphones. hope it helps. TT are a bargain for the price. I still can't believe how they are sold at such a price with so much technology, maybe i bought too many overpriced Apple products and think headphones have to be 100 quid+. i bought a slim+ few days ago and these. after using them both i feel that …i bought a slim+ few days ago and these. after using them both i feel that TT are louder with more heavy bass while slim+ are clearer with nicer pouch. if you are only going to use them occasionally then go for TT however if you are to use them as your main headphones everyday than better go for aptx and 10 hour battery life headphones. hope it helps. TT are a bargain for the price. I still can't believe how they are sold at such a price with so much technology, maybe i bought too many overpriced Apple products and think headphones have to be 100 quid+.